DCT offers a friendly atmosphere of work, characterised by mutual confidence and respect. 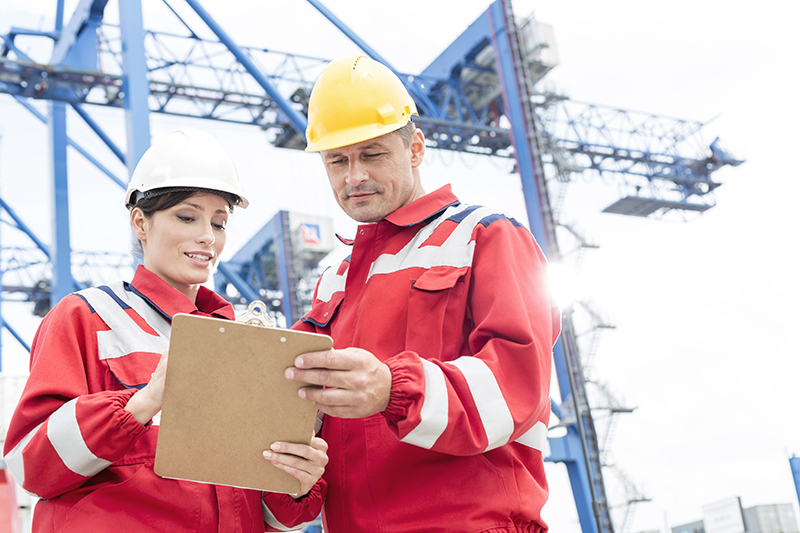 We provide our employees with conditions for development, health and safety. All these things are done on the basis of business requirements, employees’ expectations and in compliance with the latest tendencies in the scope of HR management. To put it straightforwardly, our target is employees deriving pleasure from work, directly contributing to the company’s success. The work-life balance is the main factor contributing to the broadly-understood satisfaction with life, which is why we pay a lot of attention to it. We are aware that a relaxed employee that is satisfied with his/her professional life is more involved and eager to work, more creative and inventive. To assure that relaxed employees do not make mistakes and to provide for a high level of safety at work, especially as regards employees employed in the equivalent working time system, we offer a greater number of breaks than stipulated in the Labour Law. By offering employees who work in the basic working time system an opportunity to do flexitime we eliminate pressure connected with morning duties and coming late to work. Employees employed in the equivalent working time system successfully study at weekends, since our planners made every effort to prepare the schedule taking into account the employees’ classes. How are employees remunerated for the work performed? We have introduced an innovative remuneration system. All positions are valued on the basis of the international Mercer method. A basic salary rate is allocated to the employee’s position rather than individual achievements, which is fair. Certainly, as part of a given position remuneration may differ depending on the experience held by employees (junior/senior employees), which offers employees an opportunity for horizontal promotion). Is the basic salary all employees are paid? We regularly award quarterly, bi-annual and annual bonuses, depending on the work specificity. DCT offers its employees a cafeteria benefit system. It is up to every employee to decide what benefits to choose, including a fuel card, purchase coupons, medical card, health insurance, which are only some of the possibilities. A certain envelope of Benefit points is allocated to each job, and employees themselves make up a set of benefits that is the most suitable to them and meets their individual needs. We carry out the performance appraisal on a regular basis. We make sure that each employee gets feedback on the quality of his/her work and has a chance to talk to the superior. In DCT Gdańsk the performance appraisal depends on the position. Employees working shifts participate in competence assessment, which consists of self-evaluation and evaluation by a supervisor, once a year. 360 degree feedback is addressed to employees who hold managerial positions. It helps to consciously self-improve their leadership skills. What distinguishes the performance appraisal in DCT is an individual approach to every employee. On the basis of the periodic appraisal an individual development plan is worked out, including the training plan for a given year. Not only do we hold trainings related to the scope of the employees’ duties but also the ones that are necessary for the employees’ further development, which contributes to the employee satisfaction level. We also admit unskilled workers to work, as we realise that terminal knowledge is hard to gain. What matters most to us is your personality and involvement, the rest is what we can teach you. In the Operations Department, being the largest department in DCT, we have 7 internal instructors who have undergone the entire development path. The best employees may get a co-financing for education purposes, such as trainings and study. In DCT we develop our employees in the scope of foreign languages. Our employees may attend English and Russian classes in the form chosen by them, i.e. traditionally with a language teacher or through an e-learning platform. We develop employees in compliance with their natural predisposition, towards a leader, creator, expert and mentor. We pay a lot of attention to internal communication. Every quarter the Management Board meets the employees of every rank and presents the achievements of the last 3 months. We have the Intranet with an internal message board which may be accessed by every employee. Every two months we publish DCT News, our internal newsletter. Every employee may meet the managerial staff in person in compliance with the principles of the Code of Ethics. This is how our open door policy works! What programmes are directed to employees and their families? We promote a healthy lifestyle throughout the year, but there is one month in which we pay special attention to being fit. We jog, buy employees salads and fruit and invite specialist doctors. These are only some examples of how we encourage DCT employees to be active and care about health. DCT makes dreams come true, so why not make the dreams of DCT come true, unless you have Idea Box. These are the programmes thanks to which inventive employees who come up with an idea on how to improve work may contribute to an increase in the effectiveness of work in DCT. Authors take part in the implementation of their ideas and are awarded for notification of improvements! We organise events for employees and their families every year. From 2015 such events will be organized by employees themselves! At Christmas time the employees’ children get gifts, in the form of vouchers or a Christmas party, depending on the parents’ choice. We do not only celebrate success, which is why our employees receive a Christmas bonus. In DCT we understand that anyone may encounter unpredictable difficulties, which is why we have a financial reserve to help the neediest. When our employees need help, we raise money and organise charitable events, often initiated by colleagues themselves. In many cases both parents are DCT employees and we believe that entrusting the company with the family security means absolute confidence. Our expecting mothers feel so comfortable at work that they are at work till the 6th-8th month of pregnancy, and after return to work following the maternity leave they have a guarantee of employment and time for onboarding and getting familiar with the changes as well as choosing the proper work time basis. You will see that for yourself when you join us!